Fairview is popular for plenty of reasons. It’s beautiful, and includes lots of shaded grounds where you can enjoy a warm summer breeze. Plus, it’s a wonderful community gathering place, considering many community soccer and softball leagues are hosted here during the summer! In fact, Fairview Park features three softball fields and the veteran’s baseball field. On weekday evenings, the park’s Twilight and Midway softball diamonds are crowded with players and fans cheering on the Parks and Recreation Adult Softball Leagues. Besides softball, the park also plays host to impromptu flag football games and community-sponsored soccer games. It features multiple soccer/football fields, and the soccer fields play host to community youth games on Saturdays in the fall. Of course, these fields also make a great place to meet up with friends for a friendly game of Ultimate Frisbee, flag football, or adult soccer, as well! Other things you’ll find at Fairview Park, just across the street from our Sherman Apartments, are a two and half mile walking trail, playground equipment, four pavilions – which can be rented for parties and get-togethers, and, of course, The Splash! The Splash is Sherman’s most popular summer hangout – the community pool. But it’s more than just a community pool! Fairview Park is actually home to a huge Family Aquatic Center. When you think of a community pool, you might think of some basic, boring pool with a shallow end, a deep end, and maybe a diving board. That’s not what The Splash is like, though! This 320,000 gallon pool features two water slides, a drop slide, a toddler slide, spray features, zero-depth entry, a half-meter diving board, and tumble buckets. Plus, you don’t have to worry about the kids getting sunburned at The Splash, as there’s plenty of shade around the swimming pool area. You can even rent the Party Cabana to host summer parties at the community pool! The Sherman Parks and Recreation department makes excellent use of the resource it has in The Splash, offering swim lessons that run throughout the summer and additional evening lessons in July. The pool hosts a whole lot of other fun family-friendly activities all summer long, as well. As you can see, there’s a lot to enjoy at Fairview Park, which is why we’re so glad to be located right across the street! Fairview Park is certainly not the only attraction close by to our Sherman Apartments, but it’s one of the best. 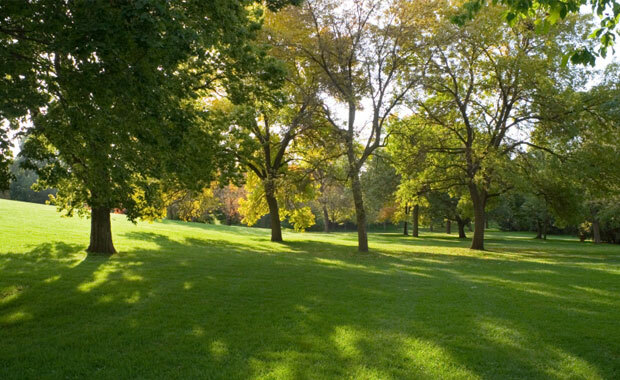 You can also enjoy many of the city’s other parks within easy reach of our condominiums, including Ely Park, Cherry Park, Fielder Park, and Rosedale Park. If you’re looking for a place in Sherman, TX to call home where you can enjoy your community and the great outdoors, Creekside Condominiums is most certainly it.